My research interests are in the area of approximation theory in the complex unit disk. I have studied finite Blaschke products in connection with constructive methods for rational Chebyshev approximation, (7), (9), and various types of rational interpolation problems, so-called Nevanlinna-Pick interpolation, in the unit disk, (5), (6). Applications of such methods can be found in H∞-optimization and control theory (model reduction, model matching theory etc.). I have also considered rational unimodular boundary interpolation on the complex unit circle (interpolation with ratios of finite Blaschke products), (2), (4), and nonlinear Riemann-Hilbert problems with circular target curves (problems of finding all functions in the disk algebra satisfying a given boundary condition on the unit circle), (1), (3). In the rational cases these problems involve application of Wiener-Hopf factorization and generalized Nevanlinna-Pick interpolation by finite Blaschke products, and they have applications for instance in H∞-optimization of dynamical systems. (1) C. Glader, E. Wegert: Nonlinear Rational Riemann-Hilbert Problems with Circular Target Curves, Computational Methods and Function Theory, Vol. 9 (2009), No. 2, 653-678. (2) C. Glader: Minimal Degree Rational Unimodular Interpolation on the Unit Circle, Electronic Transactions on Numerical Analysis, Vol. 30(2008), 88-106. (3) C. Glader, E. Wegert:Nonlinear Riemann-Hilbert Problems with Circular Target Curves, Mathematische Nachrichten, Vol. 281 (2008), No. 9, 1221-1239. (4) C. Glader: Rational Unimodular Interpolation on the Unit Circle, Computational Methods and Function Theory, Vol. 6 (2006), No. 2, 481-492. (5) C. Glader, M. Lindström: A new algorithm for meromorphic Nevanlinna-Pick interpolation, Numerische Mathematik, Vol. 100 (2005), No. 1, 49-69. (6) C. Glader, M. Lindström: Finite Blaschke product interpolation on the closed unit disc, Journal of Mathematical Analysis and Applications, Vol. 273 (2002), No. 2, 417-427. (7) C. Glader: A method for rational Chebyshev approximation of rational functions on the unit disk and on the unit interval, Numerical Algorithms, Vol. 26 (2001), 151-165. (9) C. Glader, G. Högnäs: An Equioscillation Characterization of Finite Blaschke Products, Complex Variables, Vol. 42 (2000), 107-118. 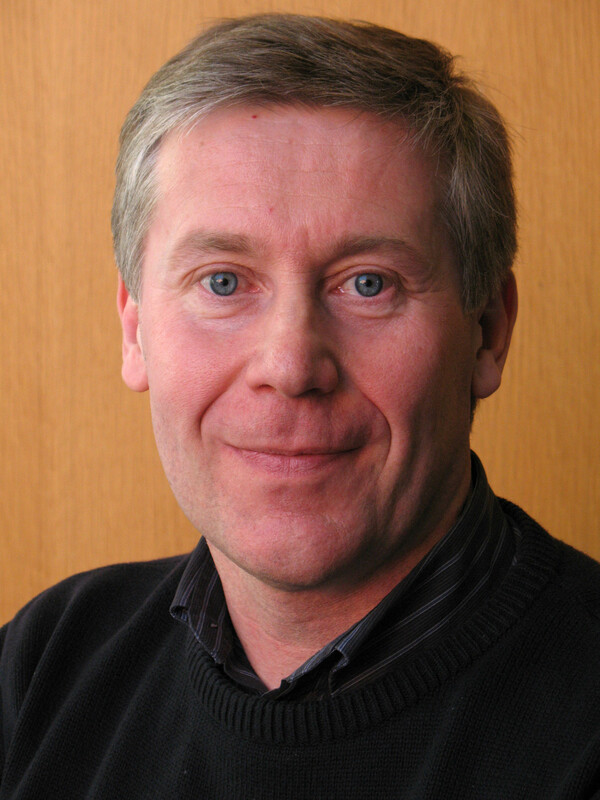 Christer Glader is currently a lecturer in Mathematics at Åbo Akademi University. His research interests include constructive methods for polynomial and rational Chebyshev approximation on the complex unit disk, Laurent polynomial approximation on the unit circle, and Finite Blaschke products in connection with approximation and interpolation in the unit disk.